Conn, Heather. "Powley Case". The Canadian Encyclopedia, 03 December 2018, Historica Canada. https://www.thecanadianencyclopedia.ca/en/article/powley-case. Accessed 21 April 2019. R. v. Powley was a legal case concerning Métis hunting rights in Canada. In 1993, the province of Ontario charged Steve and Roddy Powley with illegal hunting. The Powleys disputed their conviction, arguing that the Aboriginal rights enshrined in section 35 of the Constitution Act, 1982 protected their hunting rights as Métis people. The case concluded in 2003, when the Supreme Court of Canada ruled that the Powleys were, in fact, exercising lawful Métis hunting rights. The Powley case established criteria on who can legally qualify for Métis rights. It outlined 10 specific criteria, known as the Powley Test, which applies to Métis communities across Canada. The case also clarified that the Métis are a distinct people, separate from First Nations and Inuit peoples in Canada. Some legal experts believe the Powley case might lead to expanded Métis rights, including harvesting and fishing rights and possibly self-government. In 1993, Métis hunters Steve Powley and his son Roddy shot and killed a bull moose near Sault Ste. Marie, Ontario. They attached a handwritten note to their catch, saying that they were harvesting meat for the winter. However, because they did not have a licence under the provincial Game and Fish Act, they were charged with unlawful hunting and possession of game. The Powleys pleaded “not guilty,” asserting that they had a right, as Métis people, to hunt for food under section 35 of the Constitution Act, 1982, which recognizes and affirms “existing Aboriginal and treaty rights of the Aboriginal peoples	of Canada.” However, this section does not define Métis rights, nor does it clarify whether these rights fall under federal or provincial	jurisdiction. Therefore, courts were left to make their own conclusions. Since the courts had not yet established the Métis right to hunt, the Métis Nation of Ontario recognized this as a test case and provided financial support for the trial. The Powleys were acquitted in December 1998 in the Ontario Court of Justice after Judge Charles Vaillancourt agreed that section 35 did protect their Métis right	to hunt. The court ruled that hunting was a historically important practice to the Métis and continued to remain integral to their modern Métis community. The Crown appealed again, this time to the Ontario Court of Appeal. The Ontario government argued that the Métis community in Sault Ste. Marie	did not have a significant historical connection to hunting, and therefore did not qualify for exemption from provincial hunting regulations as protected under section 35 of the Constitution Act, 1982. Further, the province held that even if they did hold hunting rights, any infringements on those rights were justified by the scarcity of moose in the region, and the need for their conservation. However, the Ontario Court of Appeal upheld the previous two rulings in a unanimous decision in February 2001. Although it dismissed the government’s arguments, the Appeals Court granted a one-year stay on the judgement, which would allow the Ontario government to either come up with a new regulatory hunting system for the Métis or stop regulating Métis hunting completely. The Crown then appealed to the Supreme Court of Canada. In September 2003, the Supreme Court ruled unanimously that the Powleys, as members of the Métis community “in and around” Sault Ste. Marie, could exercise their Métis right to hunt, as protected by section 35 of the Constitution Act, 1982. The court also established a 10-part test, known as the Powley Test, to be used to determine the distinct Indigenous rights of the Métis. The court stated that establishing membership in a Métis community was not simple and had to be determined on a case-by-case basis. If the right was infringed, whether that infringement can be justified (e.g., if the Crown claims its infringement is due to health, safety and conservation	concerns, it must prove that a real threat exists). The Powley Test applies a new historic time frame to Indigenous rights in Canada. Previous test-based criteria, such as those applied in the Sparrow case (1990) and Van der Peet case	(1996), were based on pre-European-contact conditions. However, since Métis people exist as a result of European contact (they have mixed Indigenous and European heritage), it would be impossible to find a Métis right “pre-contact.” Therefore, the court decided that the historical time frame of a Métis right had to be after European contact, but before the Crown had “effective control” over the community in question. The Powley case influenced other Métis rights-based legal challenges, including Manitoba Métis Federation (MMF) v. Canada	(2013) and R. v. Daniels (2016). In the MMF v. Canada case, the Supreme Court found that the federal government	failed to provide the Métis with the land grant they were promised in the Manitoba Act of 1870. (See also Métis Scrip in Canada.) In the Daniels case, the Supreme Court ruled that both Métis and Non-Status Indians are included in the definition of Indian	in section 91 (24) of the Constitution, 1867, which covers the federal government’s power over matters relating to “Indians, and Lands reserved for the Indians.” However, this does not mean that Non-Status people are now Status Indians; the 2016 judgement rules that Non-Status people fall under the legislative jurisdiction of the federal government. Mark L. Stevenson, “The Métis Aboriginal Rights Revolution,” Thesis, Master of Law, University of British Columbia (2004). Catherine Bell and Clayton Leonard, “A New Era in Métis Constitutional Rights: The Importance of Powley and Blais,” Alberta Law Review 41 (2004): 1049-1083. Frederica Wilson and Melanie Mallet, eds., Métis-Crown Relations: Rights, Identity, Jurisdiction, and Governance (2008). Bradford. W. Morse, ed., Aboriginal Peoples and the Law: Indian, Métis and Inuit Rights in Canada (1985). Christopher Adams, Gregg Dahl and Ian Peach, eds., Métis in Canada: History, Identity, Law & Politics (2013). COURT OF APPEAL FOR ONTARIO Read about the Ontario Court of Appeal case, R. v. Powley (2001). MÉTIS LAW IN CANADA Jean Teillet of Pape Salter Teillet Barristers and Solicitors provides information about Métis law in Canada. 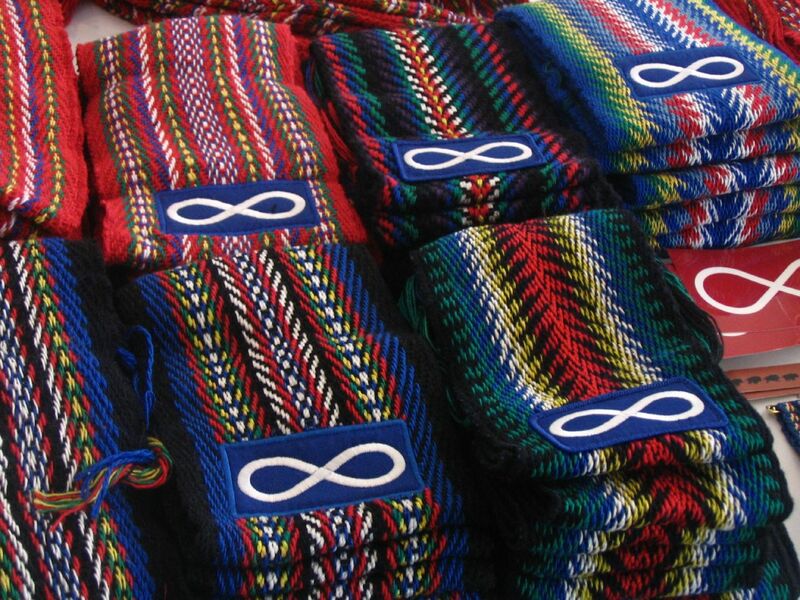 MÉTIS NATION OF ONTARIO Learn more about the Powley story from the Métis Nation of Ontario. POWLEY SUMMARY Pape & Salter Barristers and Solicitors provide a summary of the Supreme Court decision in the Powley case. FAQ-POWLEY CASE The Government of Canadaanswers commonly asked questions about the Powley case. SUPREME COURT JUDGEMENTS Read the Supreme Court of Canada judgement on the Powley case (2003).